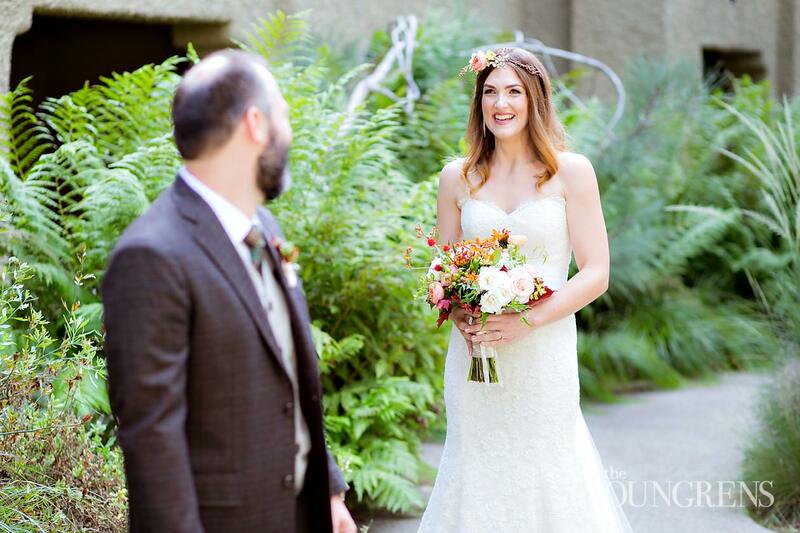 The overwhelming consensus among Brian and Stephanie's family and friends is that this couldn't have happened to anyone better than these two. 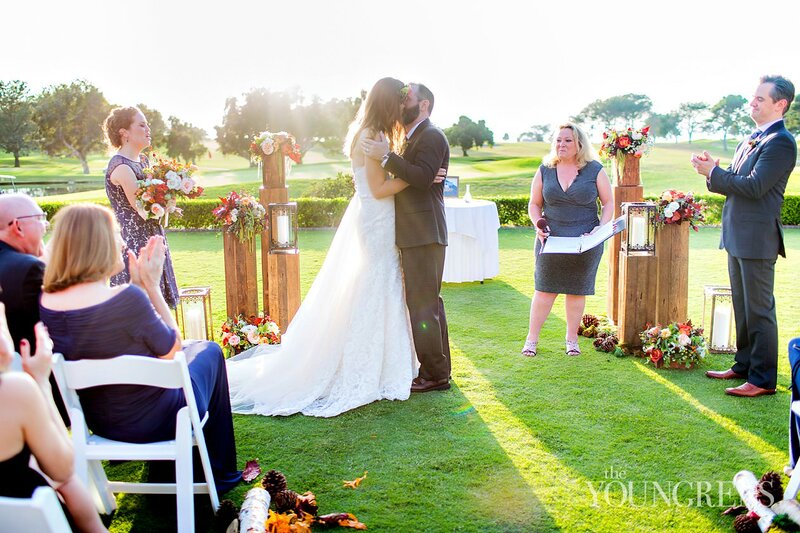 They are both humble, kind, unassuming, smart, and loving individuals that don't prefer sitting in the spotlight, but do prefer an epic celebration.Several amazing things happened during Brian and Stephanie's wedding at The Lodge at Torrey Pines. 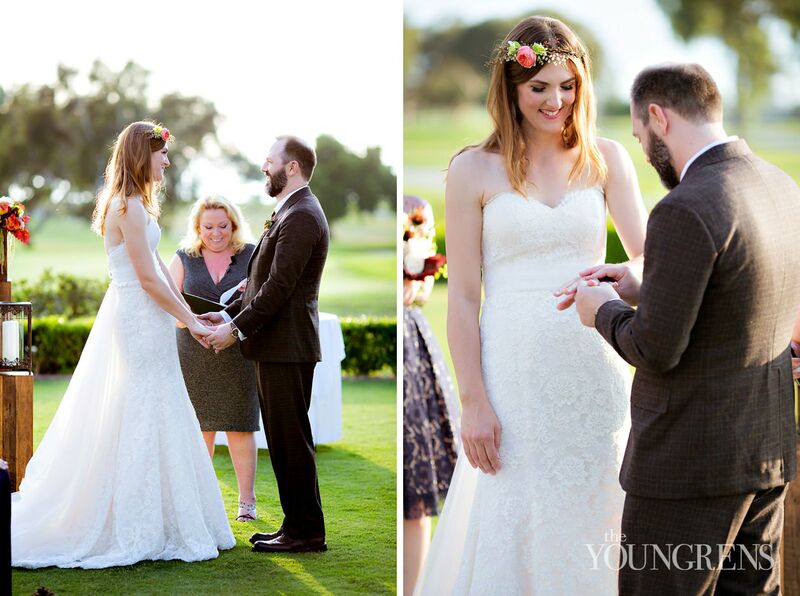 They both looked unbelievably gorgeous, they met the President of the United States, the photo of them with POTUS went viral on the internet, and they got to marry the love of their lives. 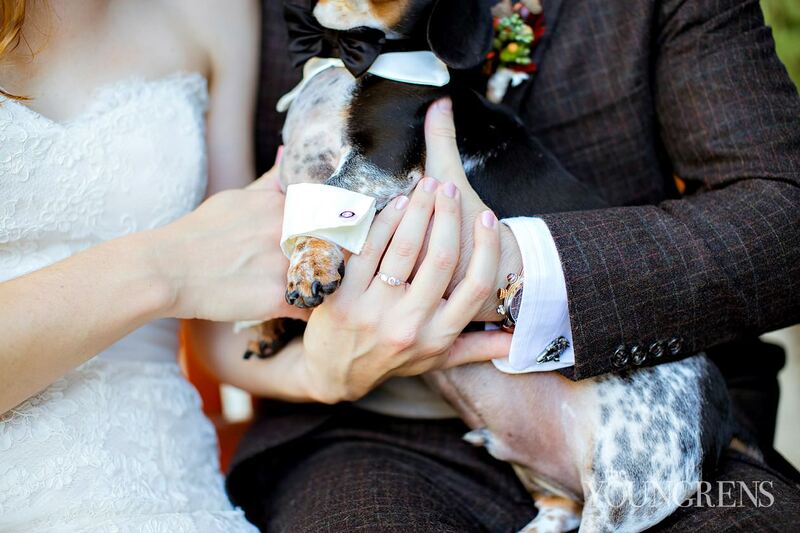 #nobigdealBut that's just how they roll. 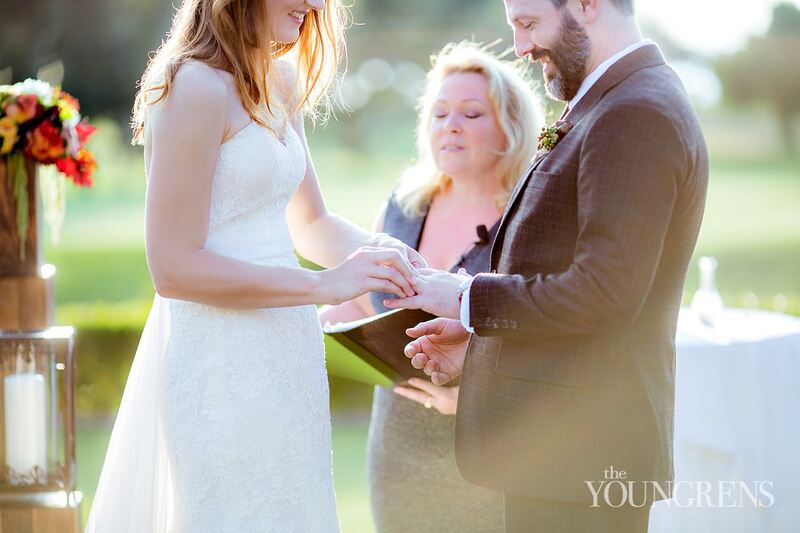 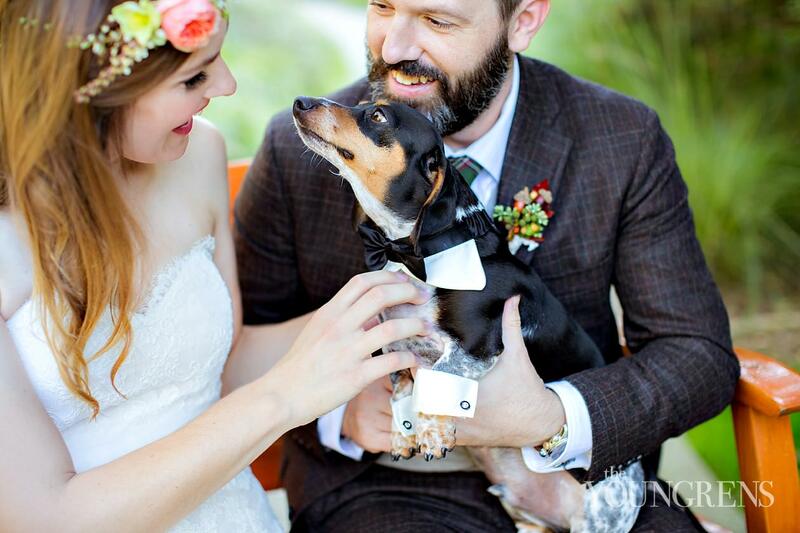 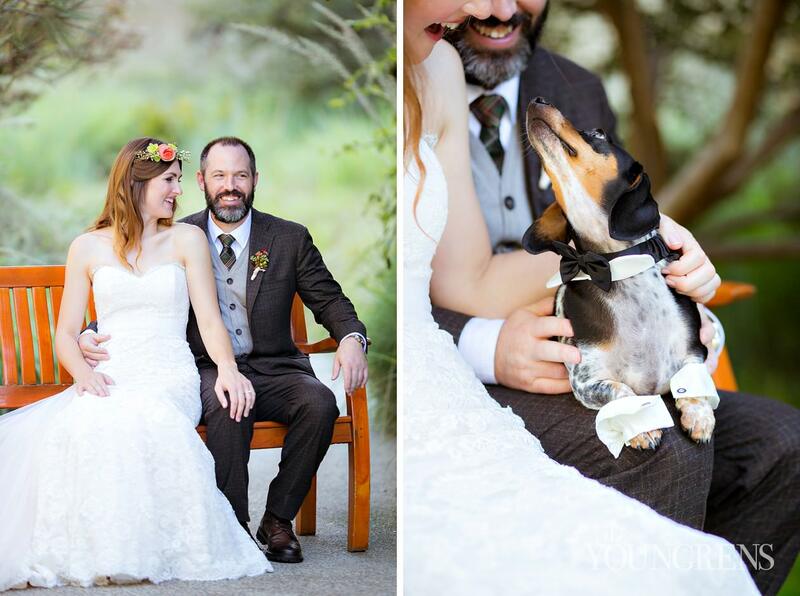 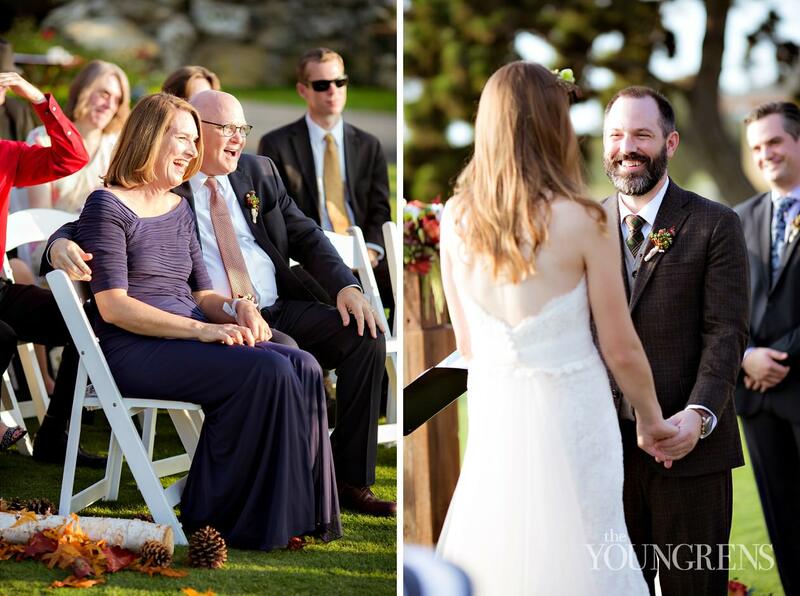 For Stephanie, saying 'I do' to the man of her dreams in the California sunshine was just an monumental as meeting the President that just happened to show up on her wedding day. 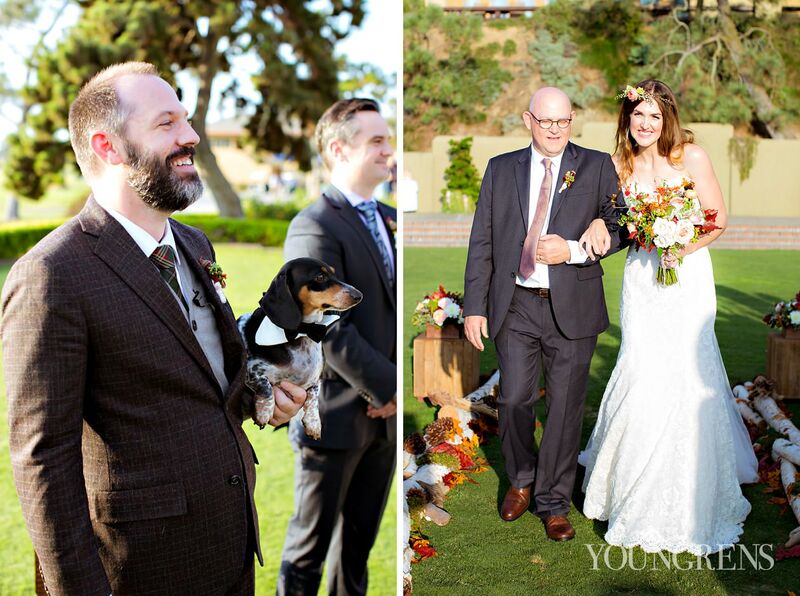 For Brian, walking back down the aisle with the girl that stole his heart so many years ago felt just as epic as shaking Barack Obama's hand.When everything else settles down, their committed love and their deep joy are what will remain in our hearts for all of us that witnessed their wedding day. 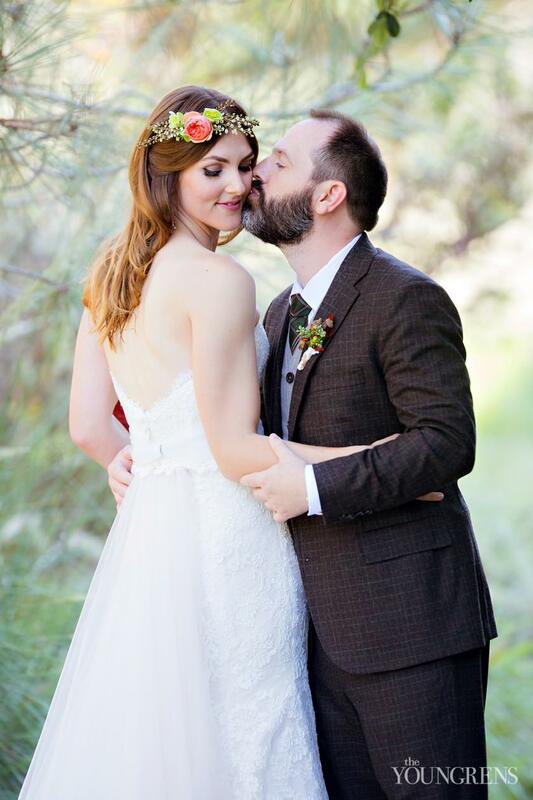 We couldn't be happier for their sweet souls because the rest of their lives together is going to be just as epic as the day they said, 'I do. 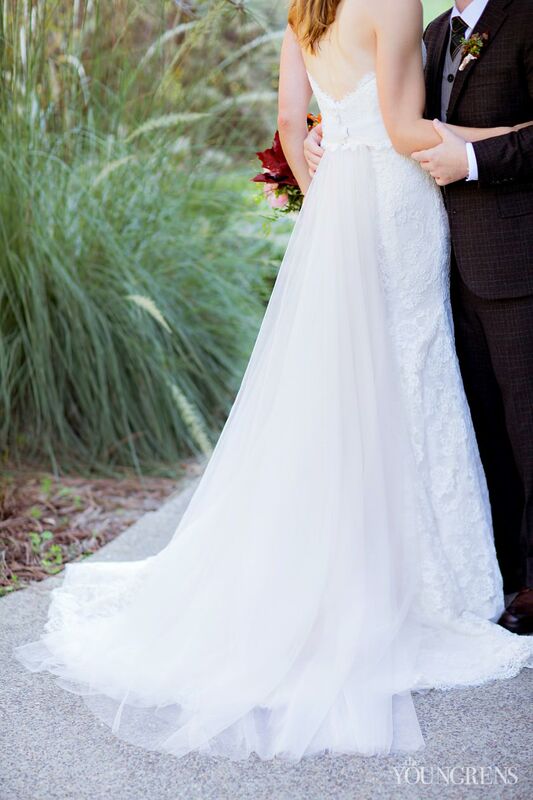 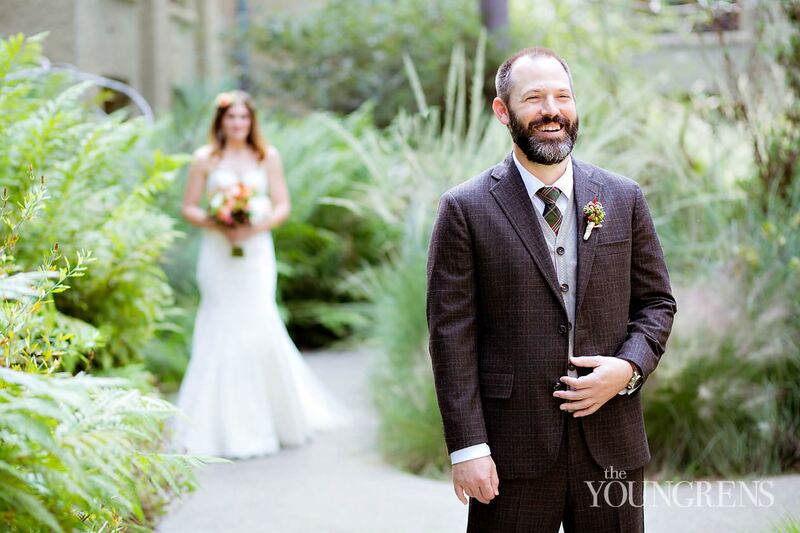 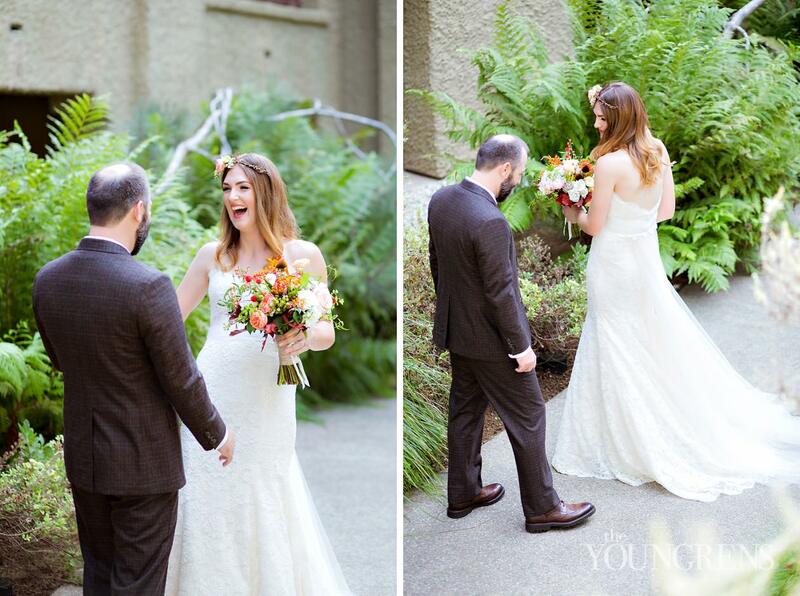 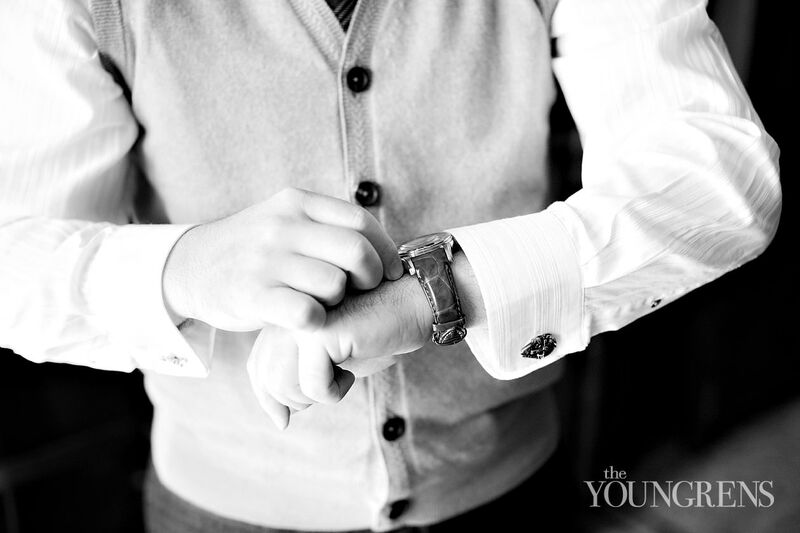 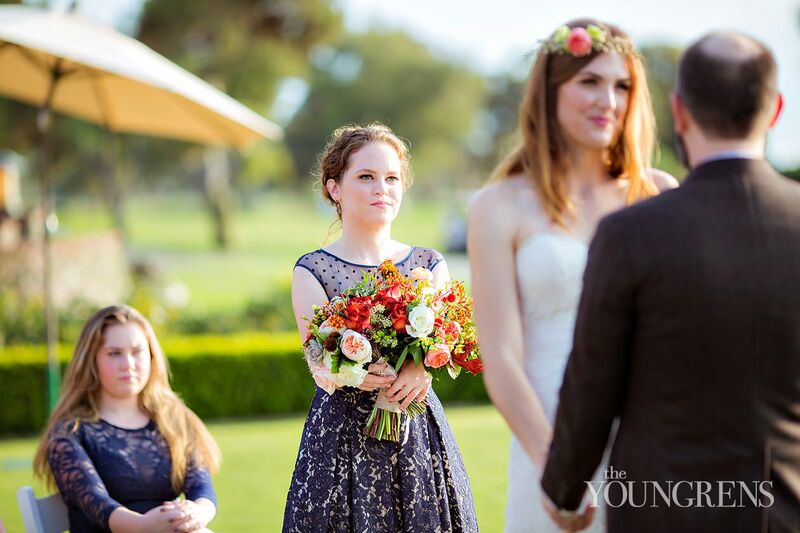 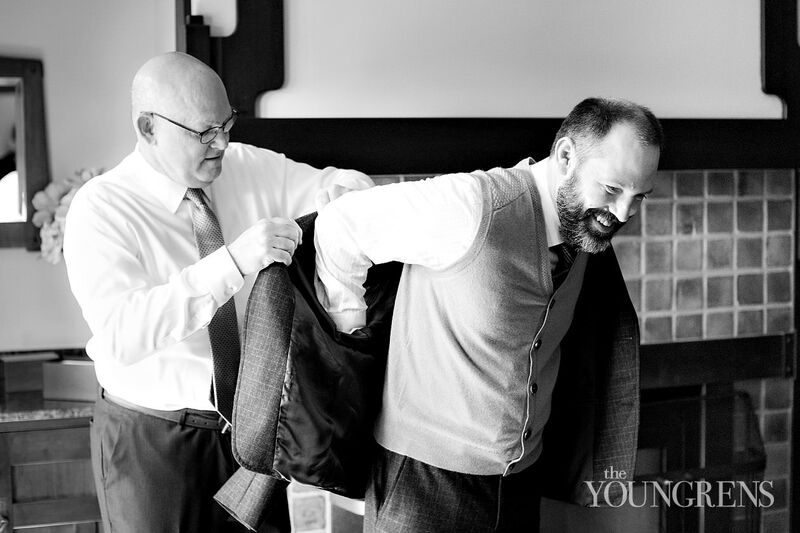 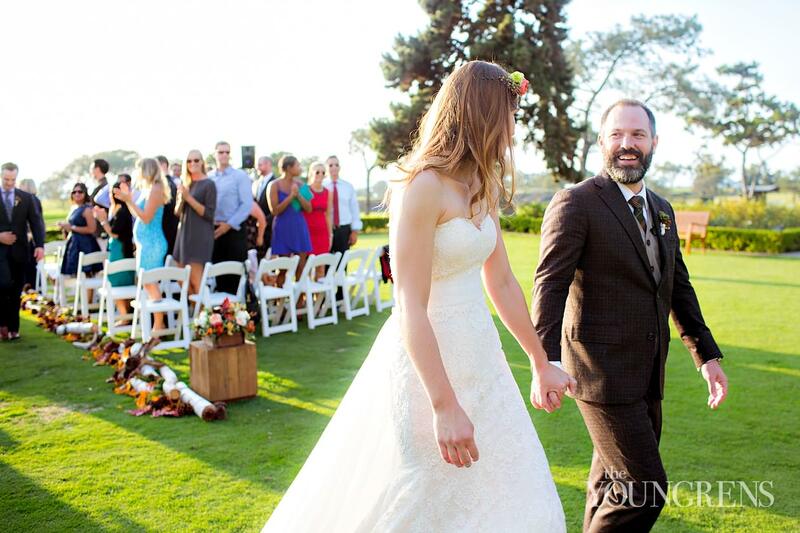 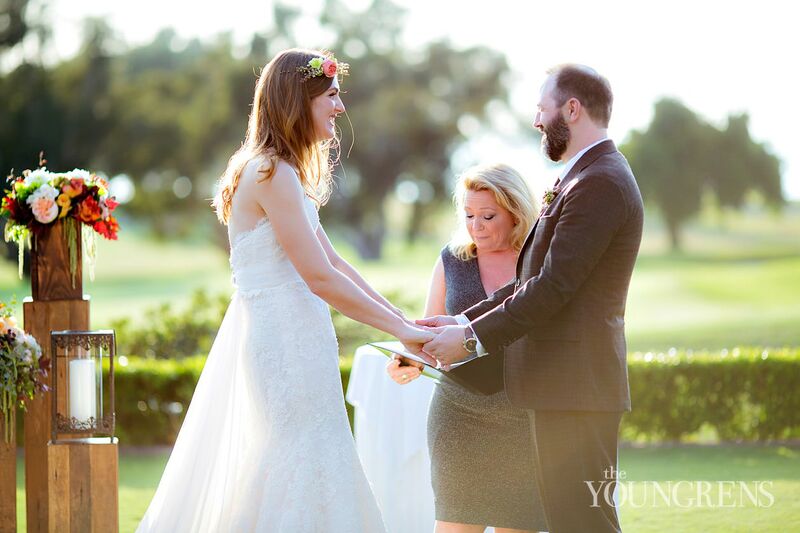 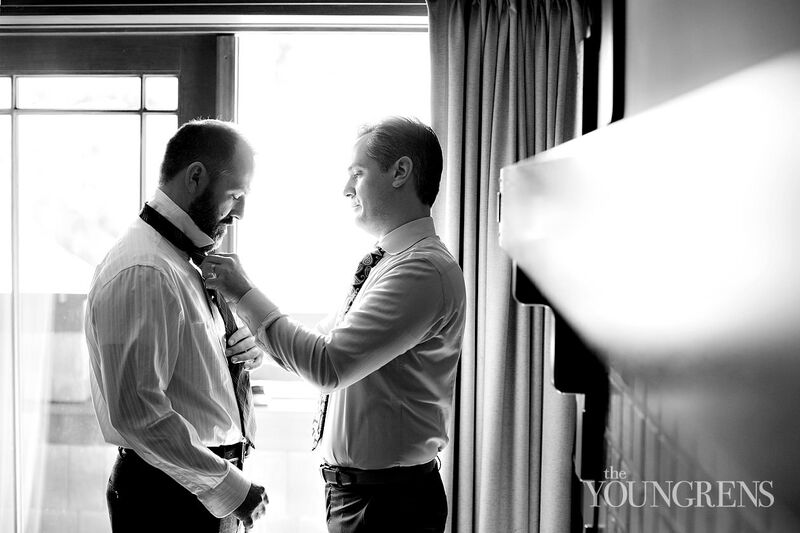 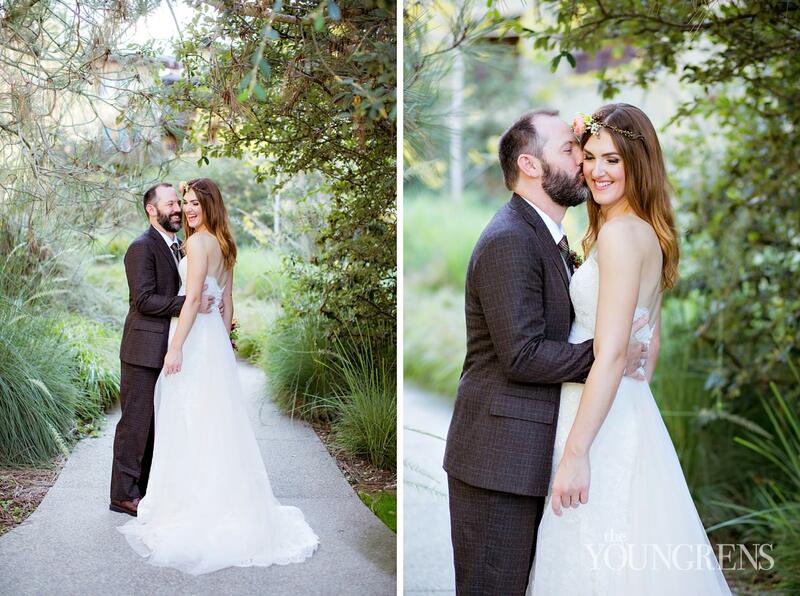 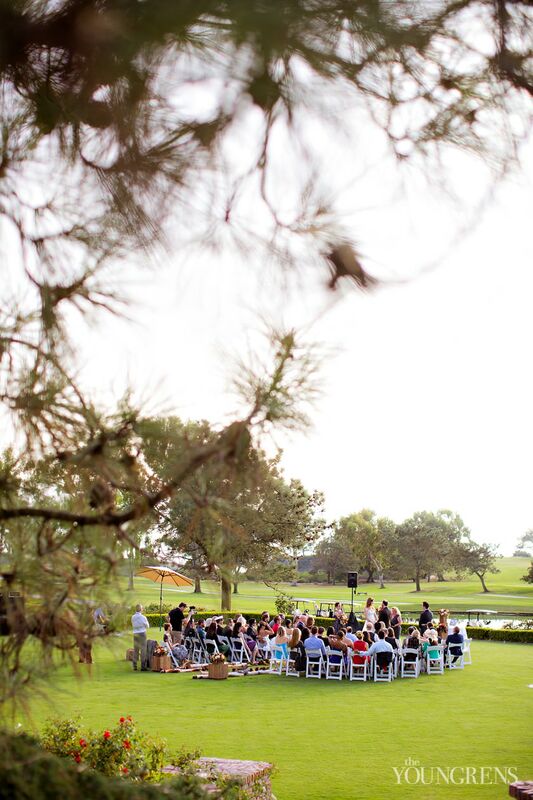 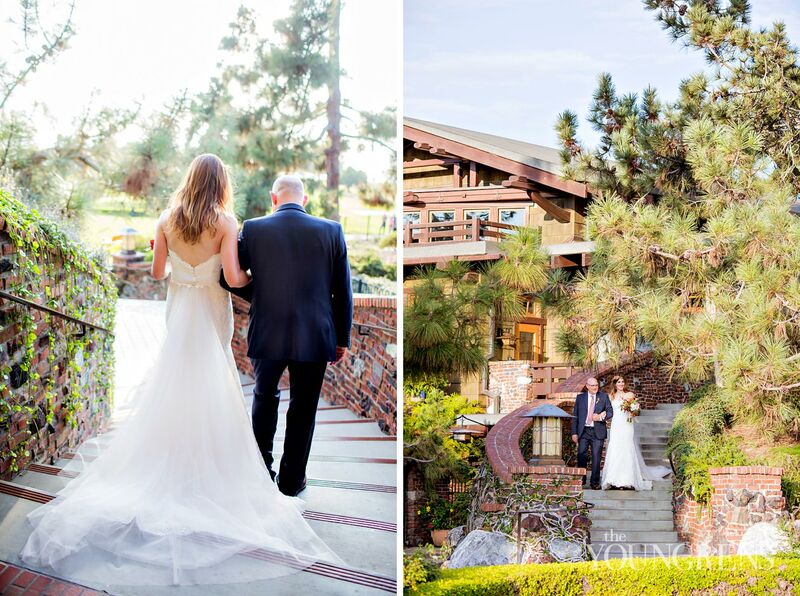 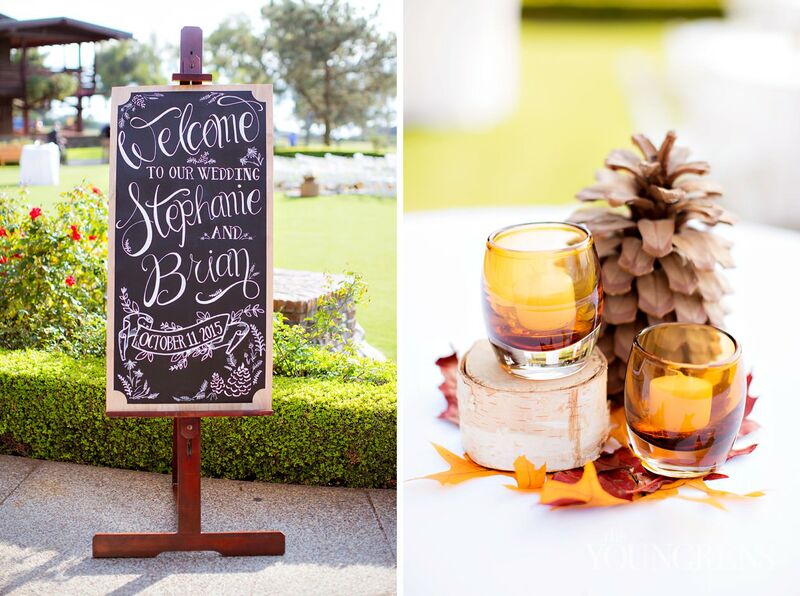 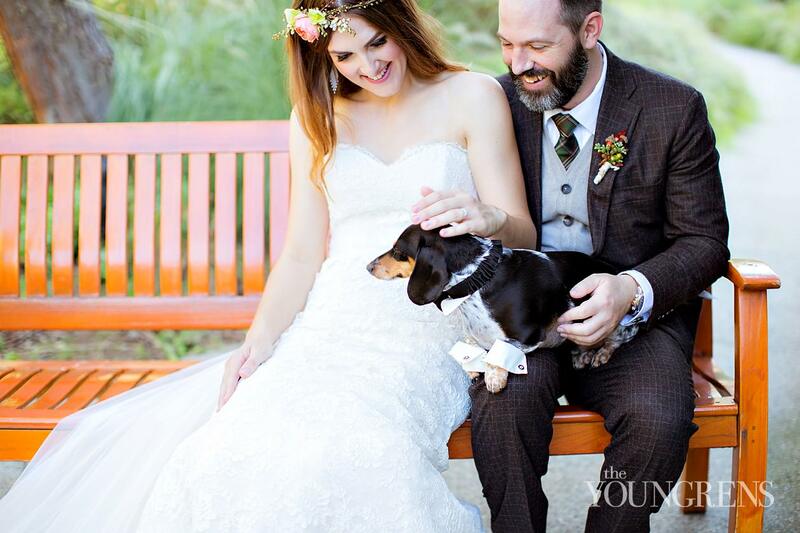 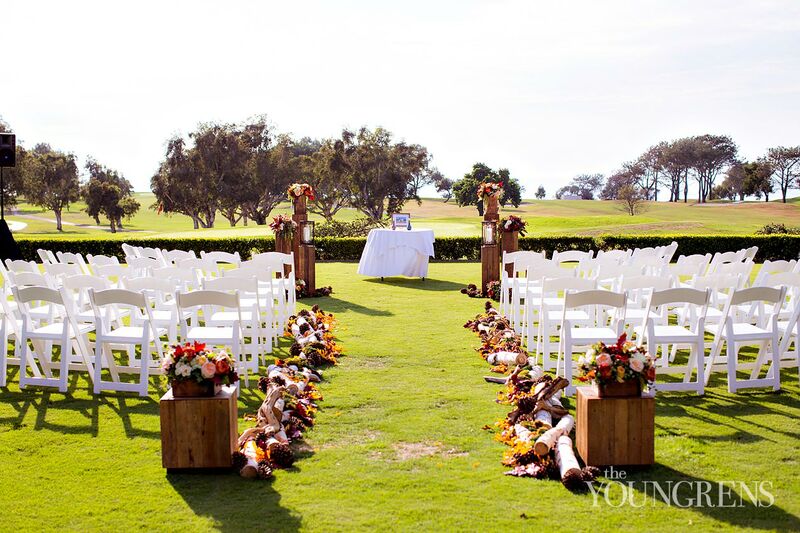 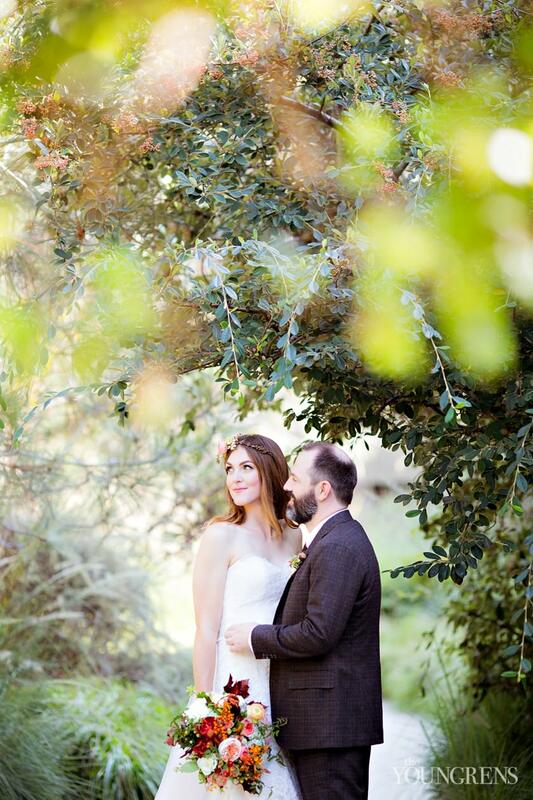 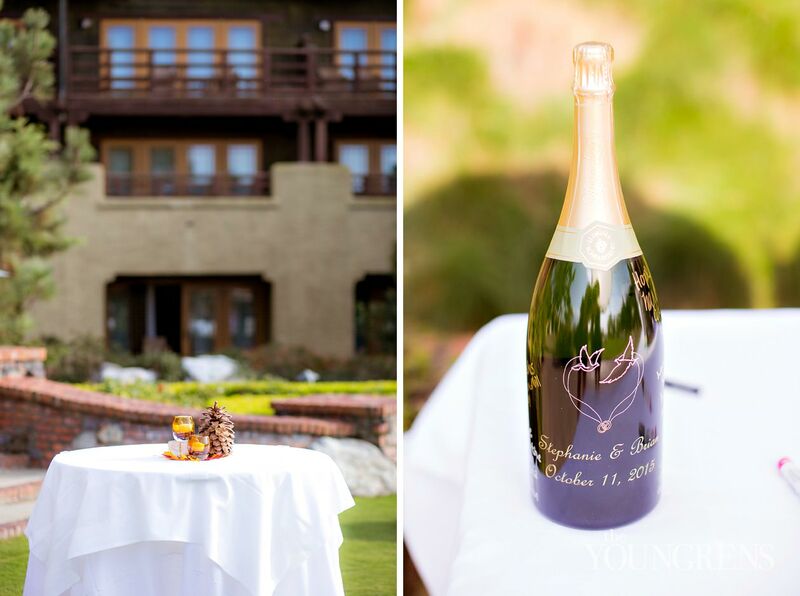 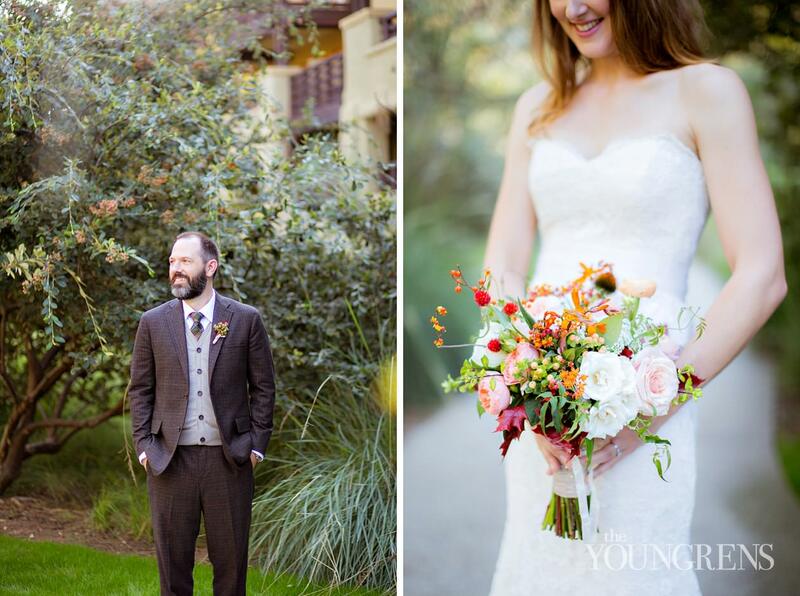 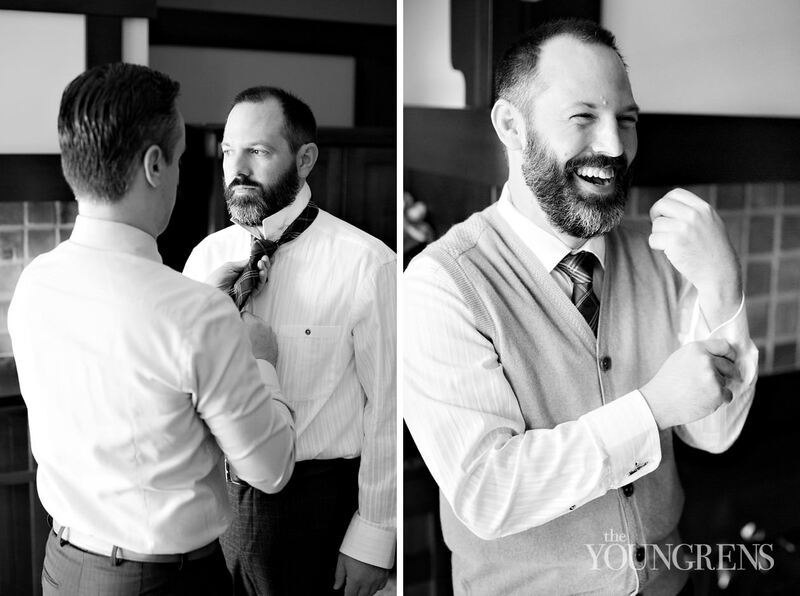 'Brian and Stephanie chose The Lodge at Torrey Pines for their wedding so that their friends and family could have an intimate getaway weekend in their favorite city. 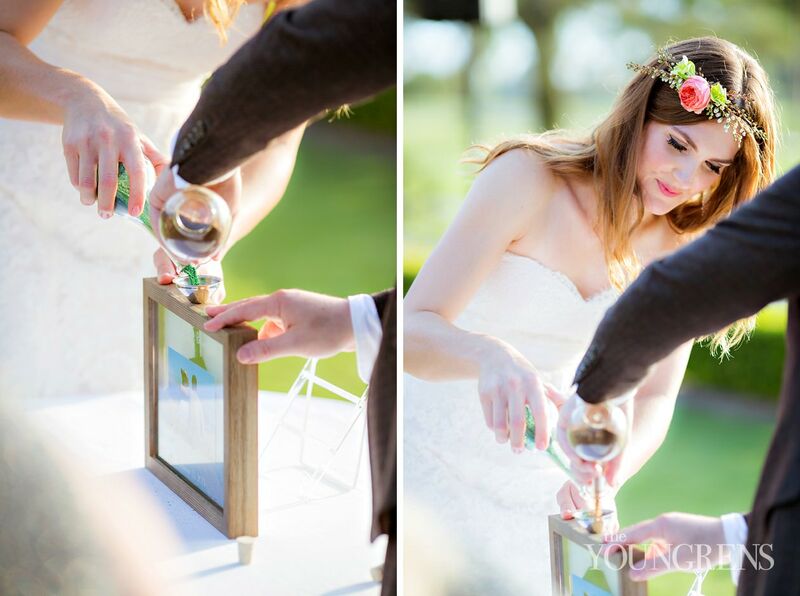 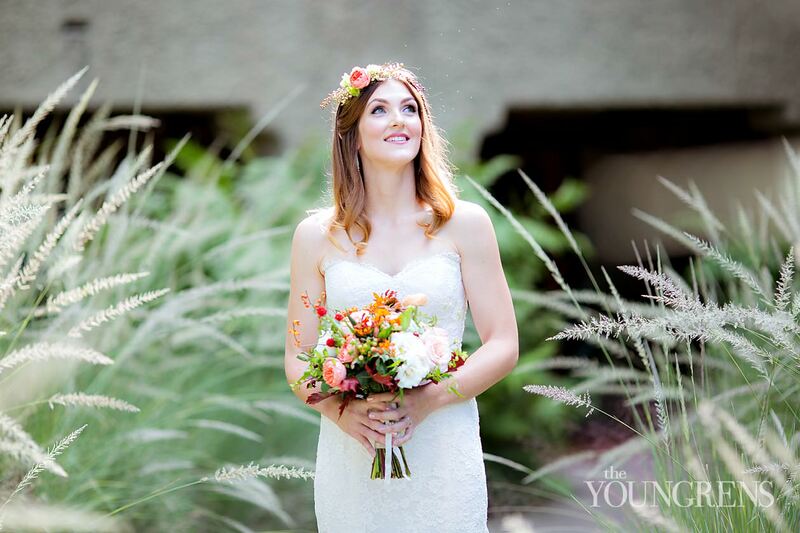 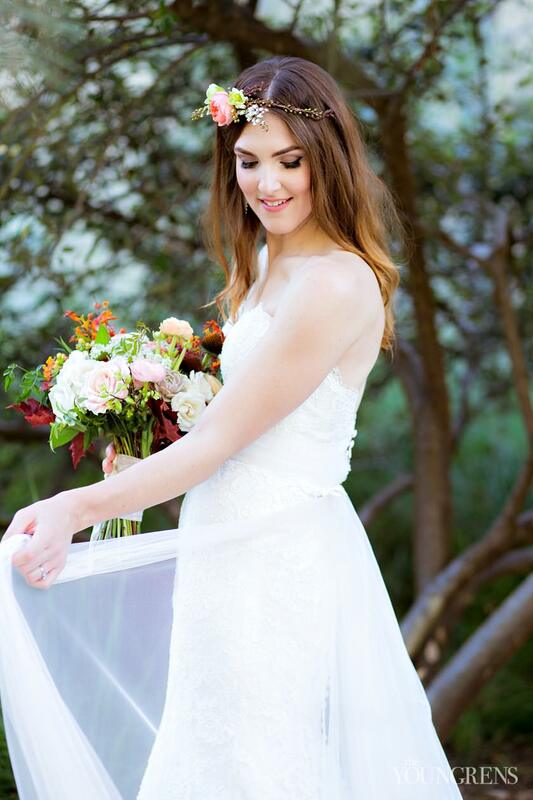 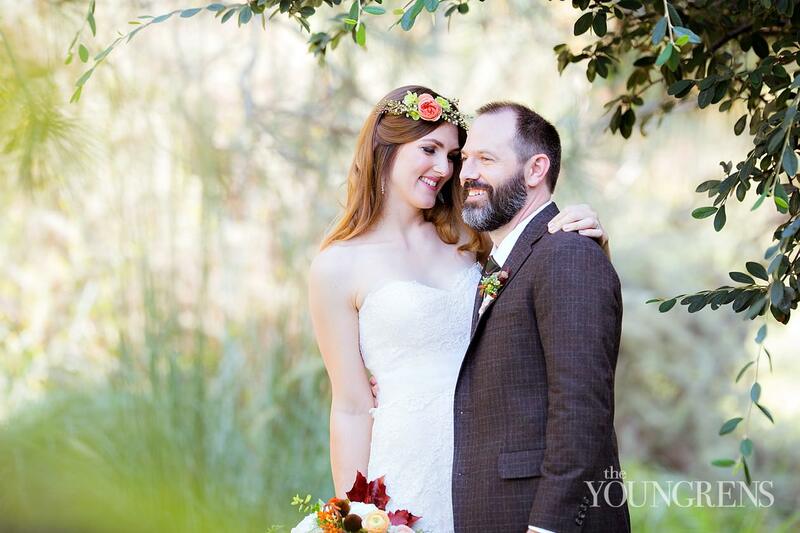 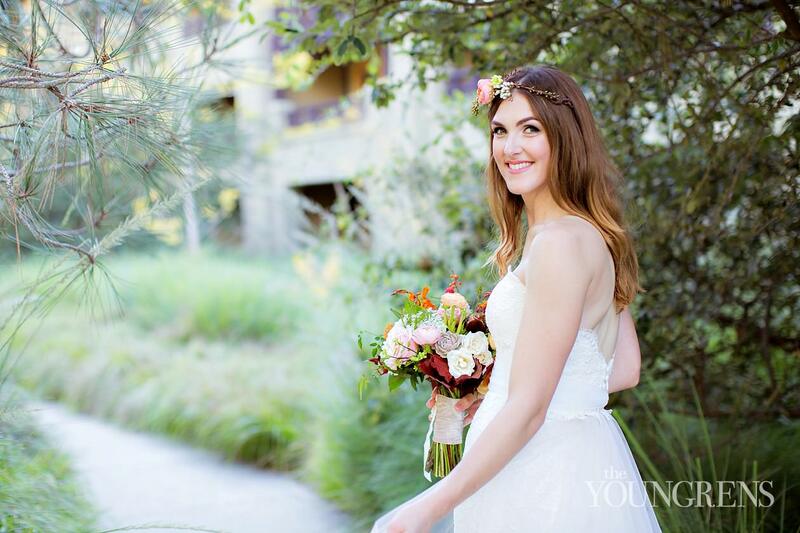 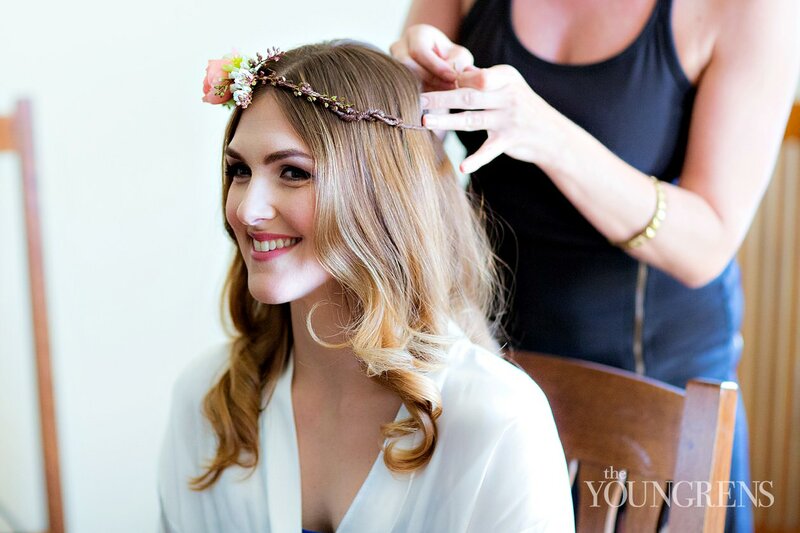 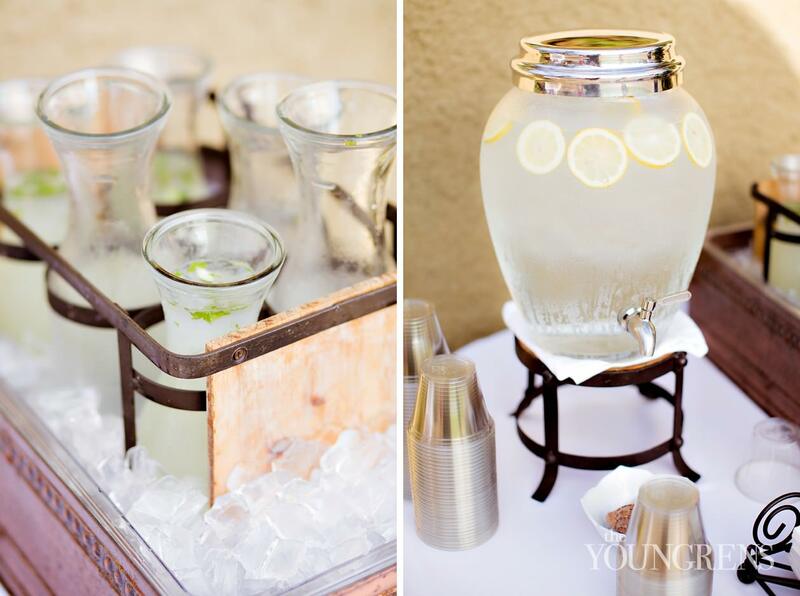 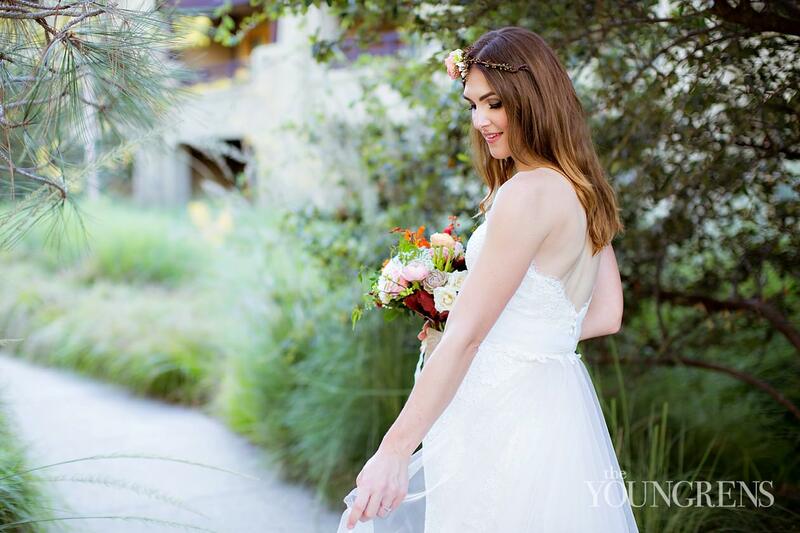 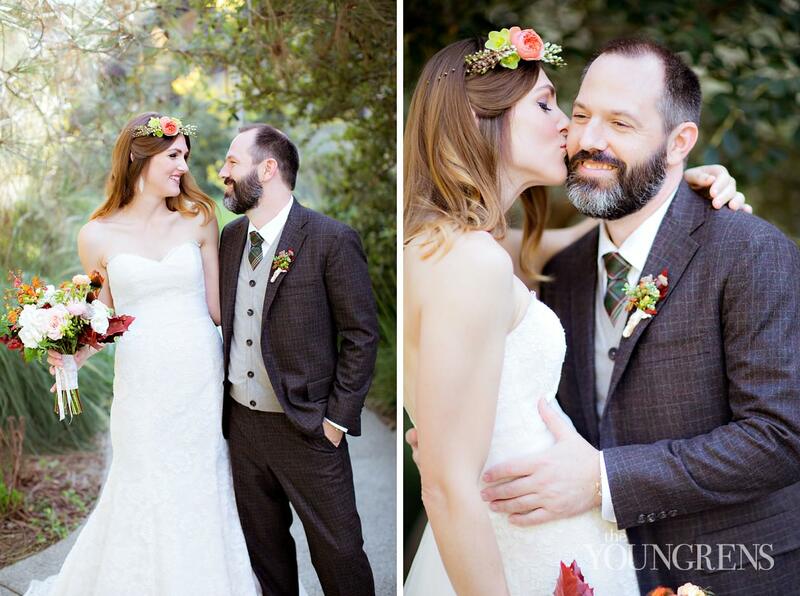 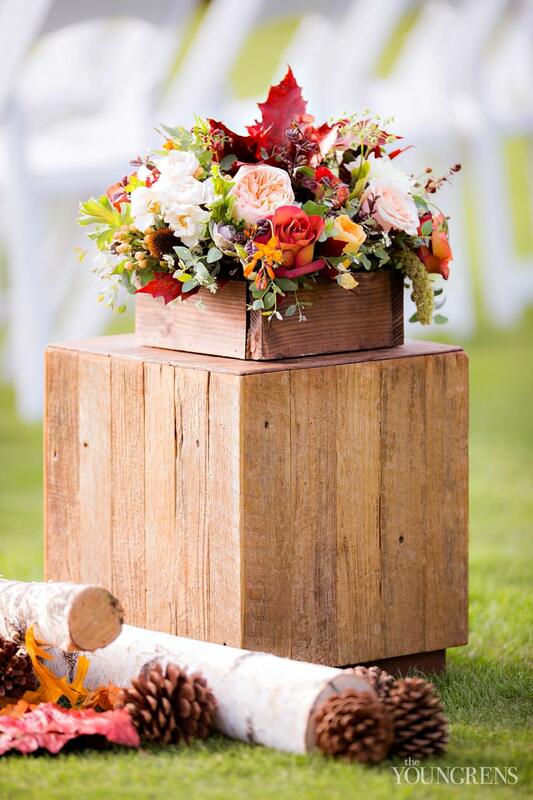 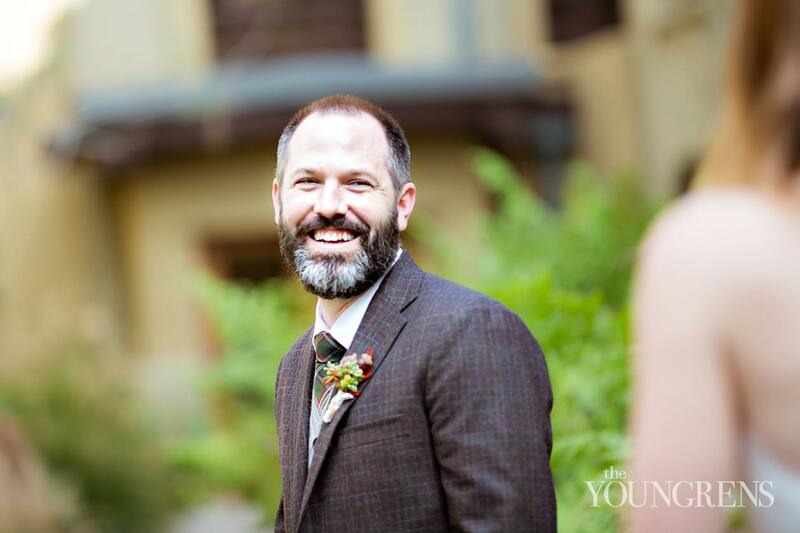 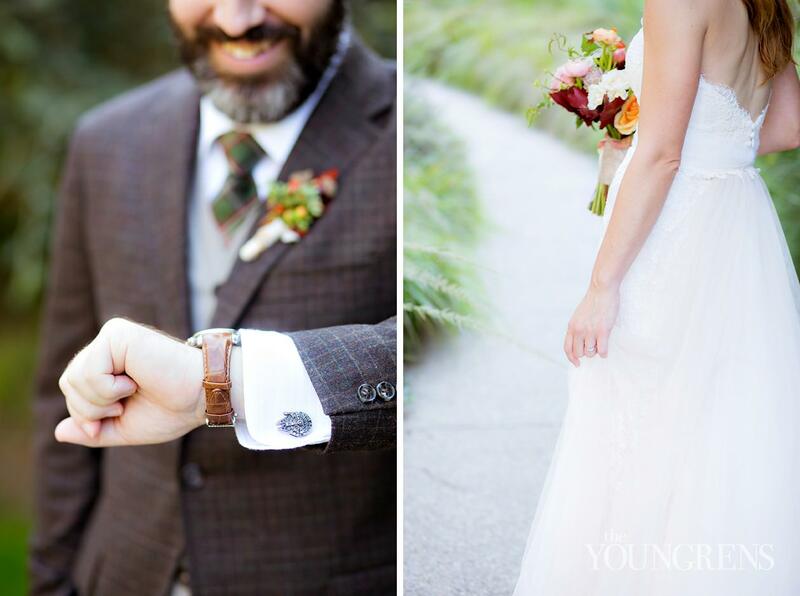 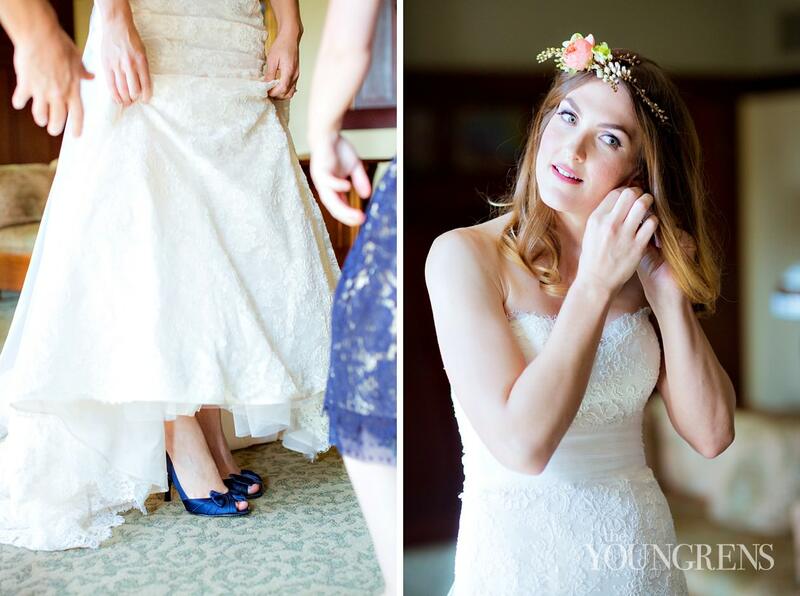 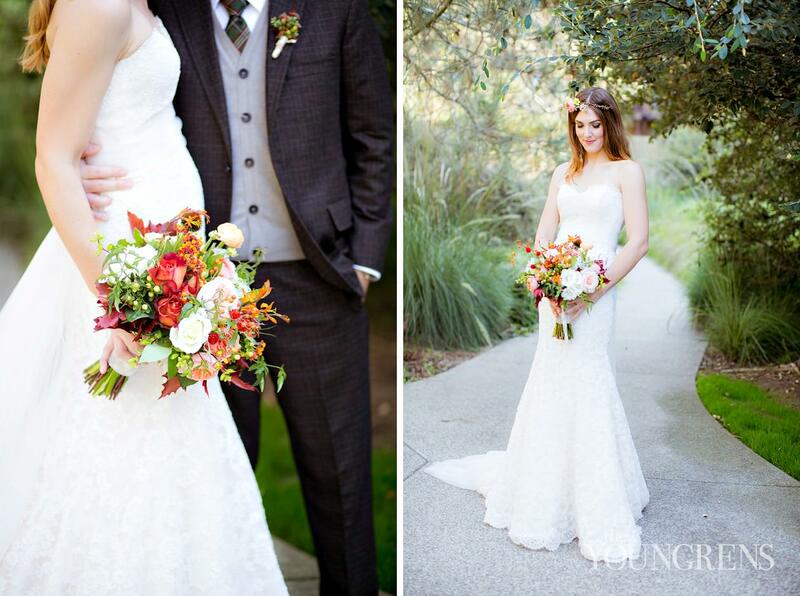 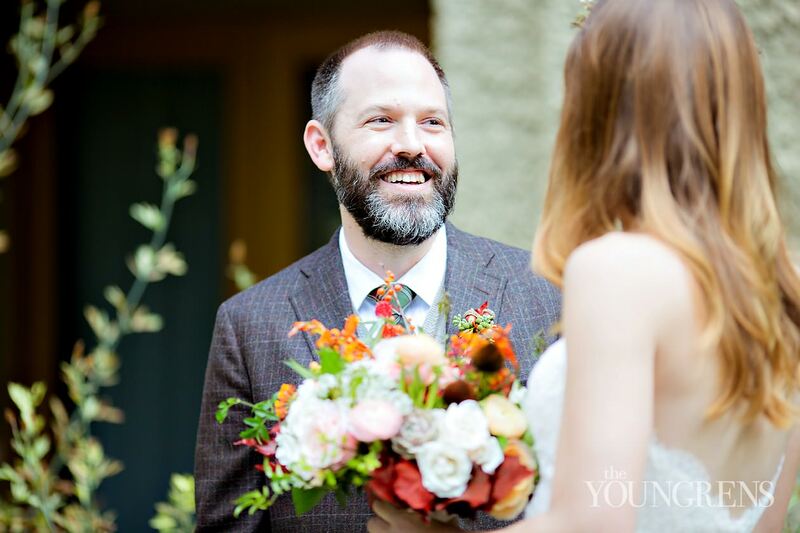 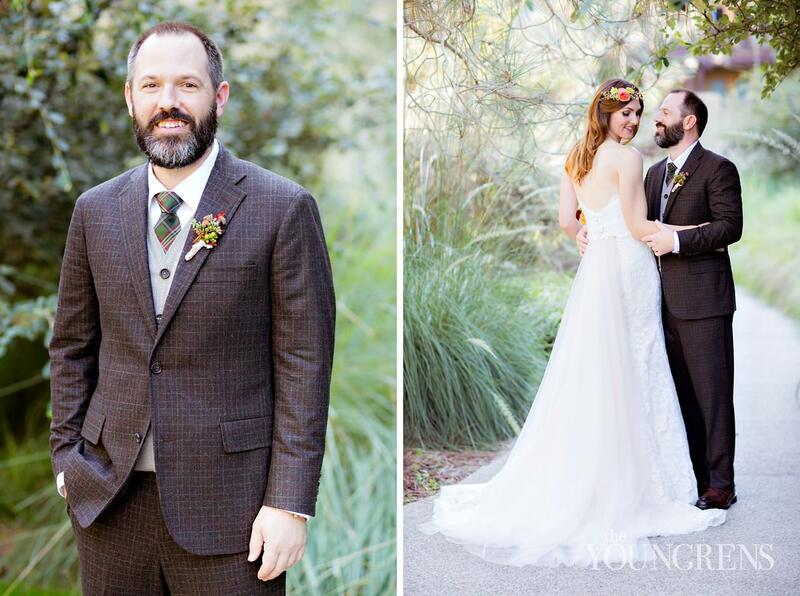 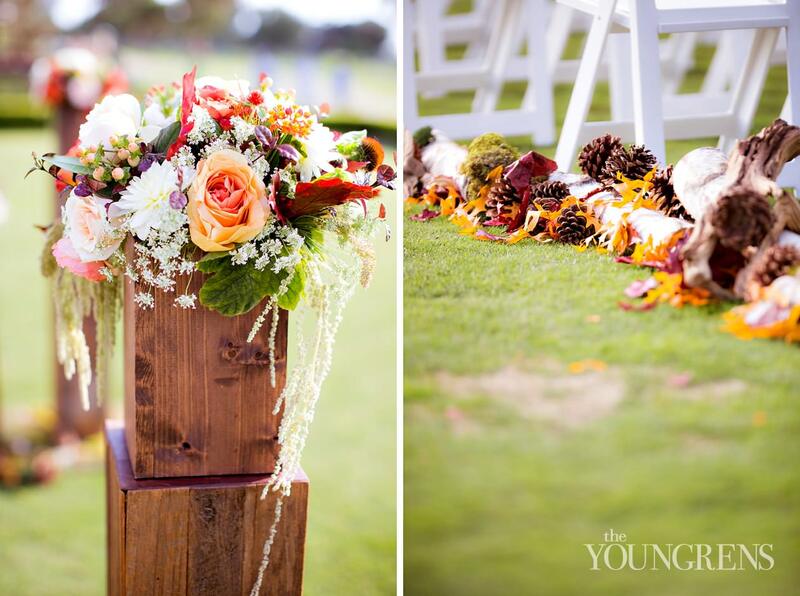 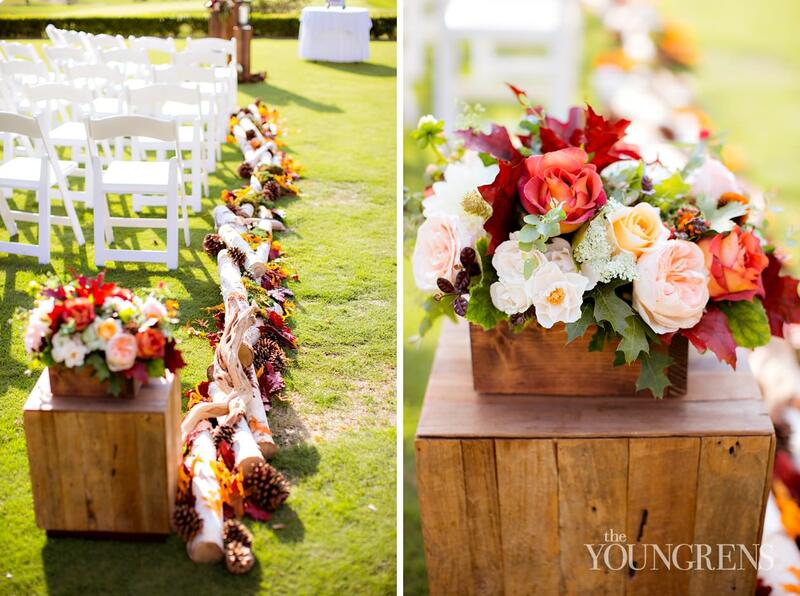 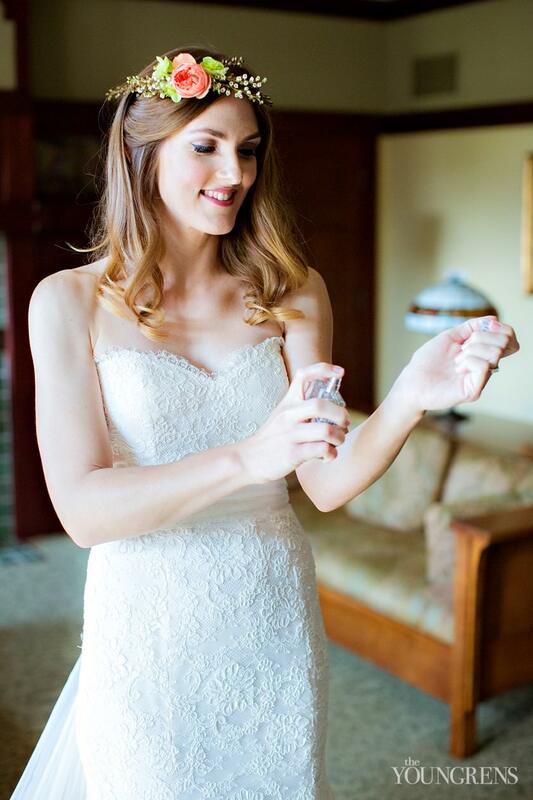 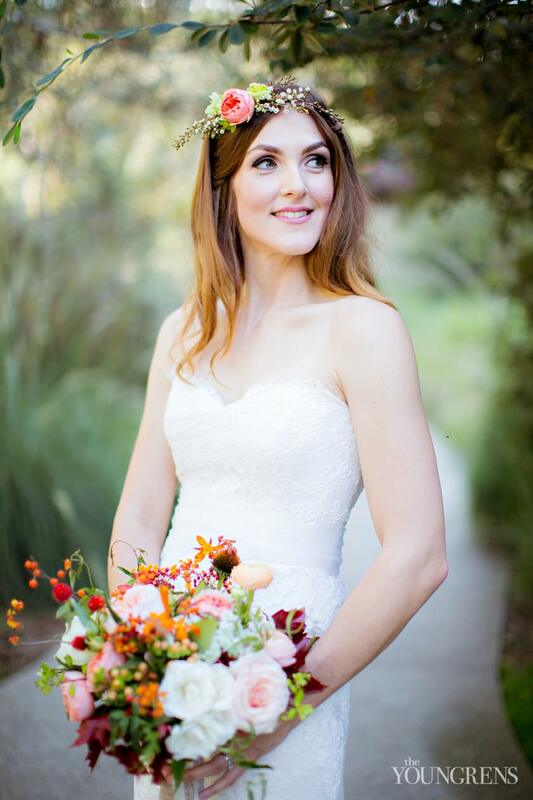 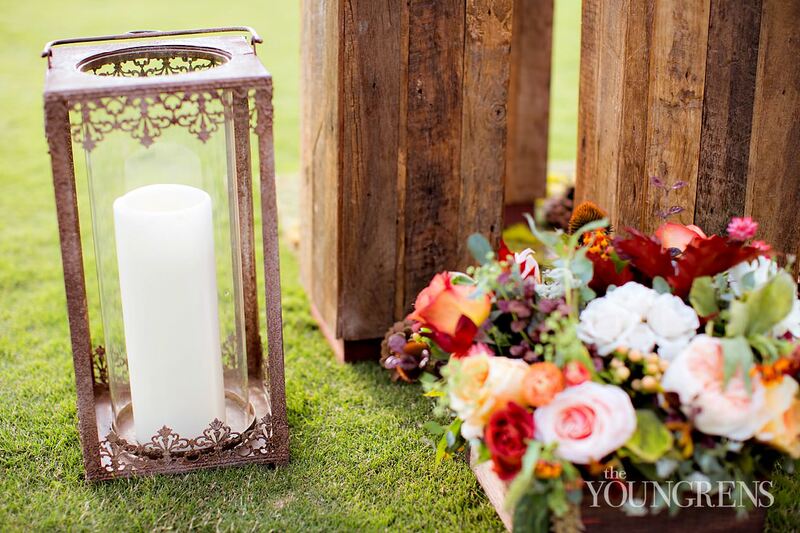 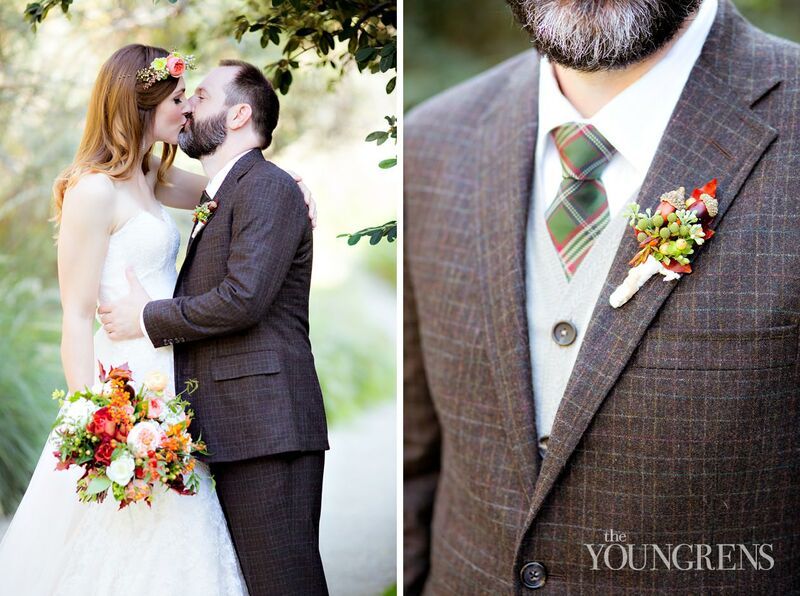 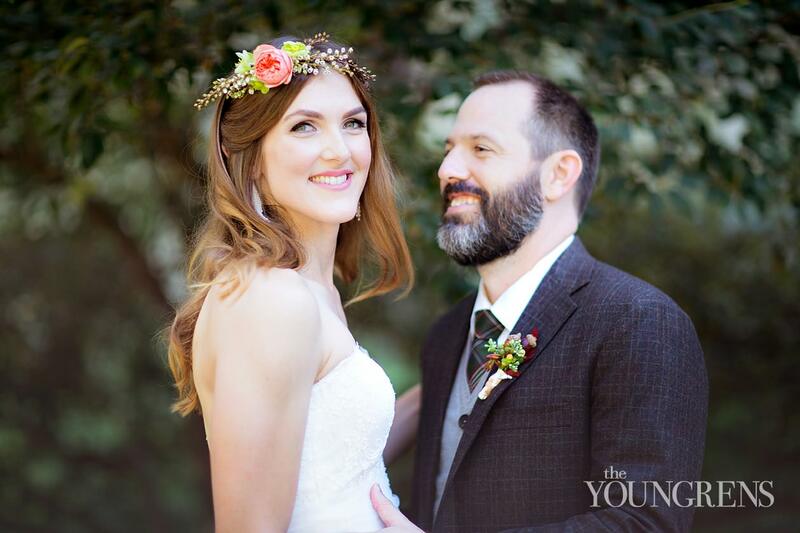 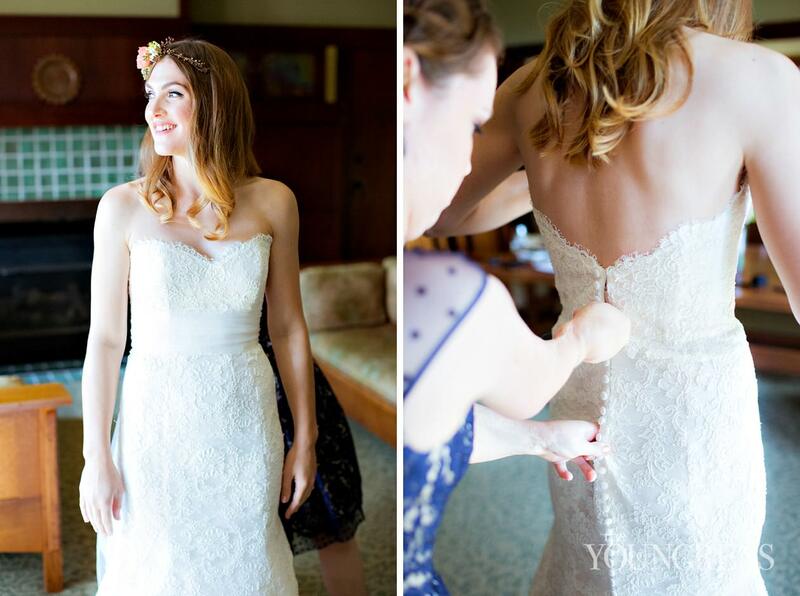 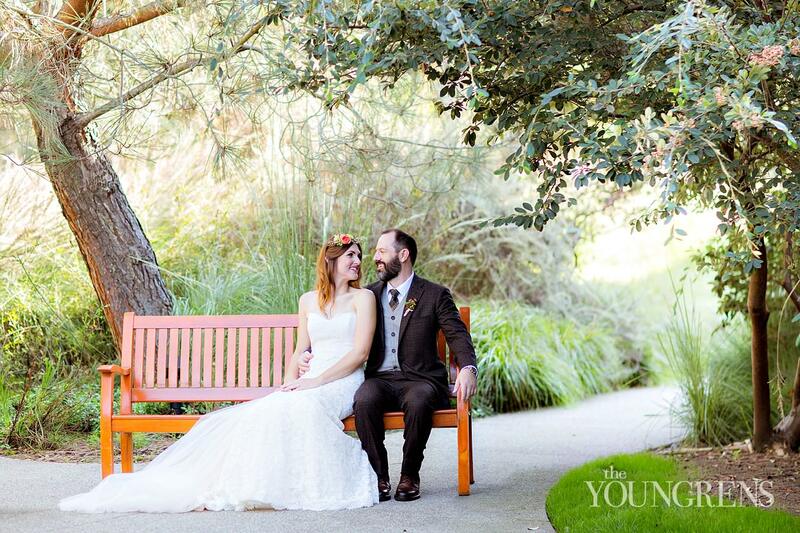 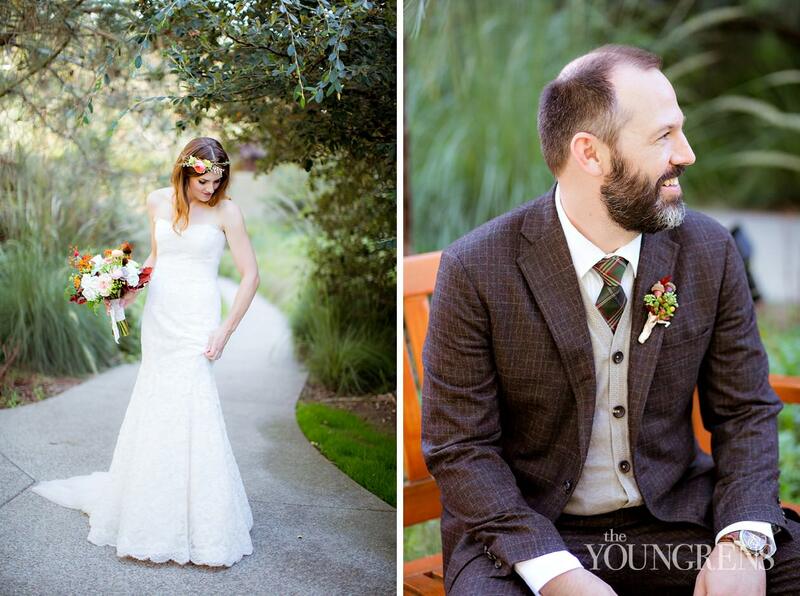 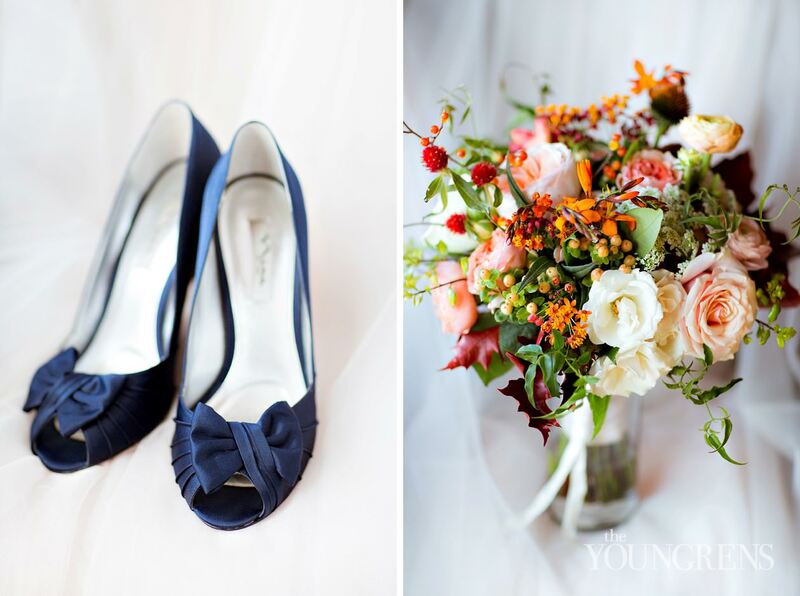 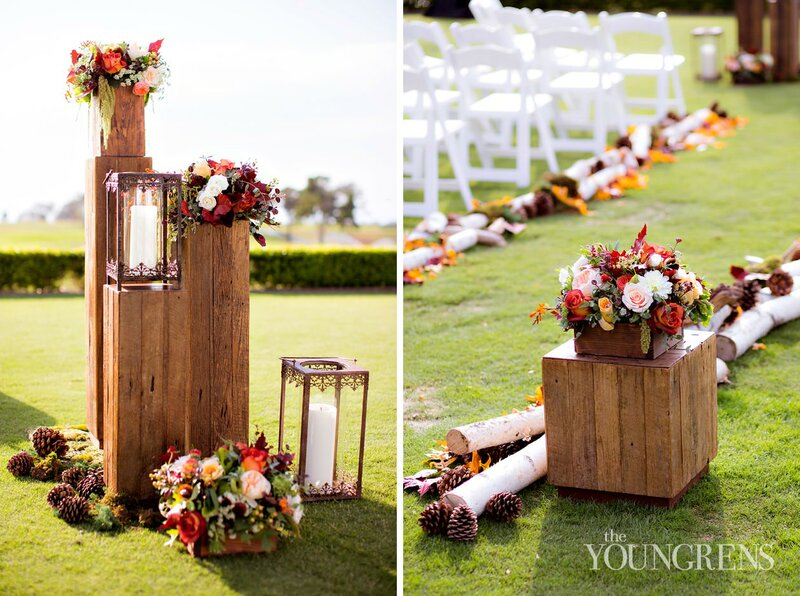 Kelly of Mint Weddings coordinated a flawless day, Adorations Botanical Artistry designed the perfectly sweet fall florals, SJ Videography captured the celebration on video, and Effren of Vario Productions put on a dance party of a lifetime. 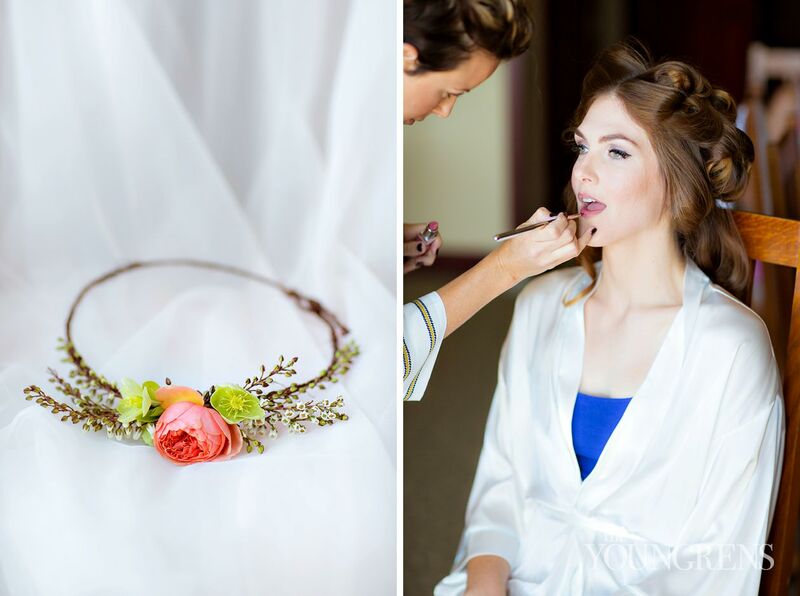 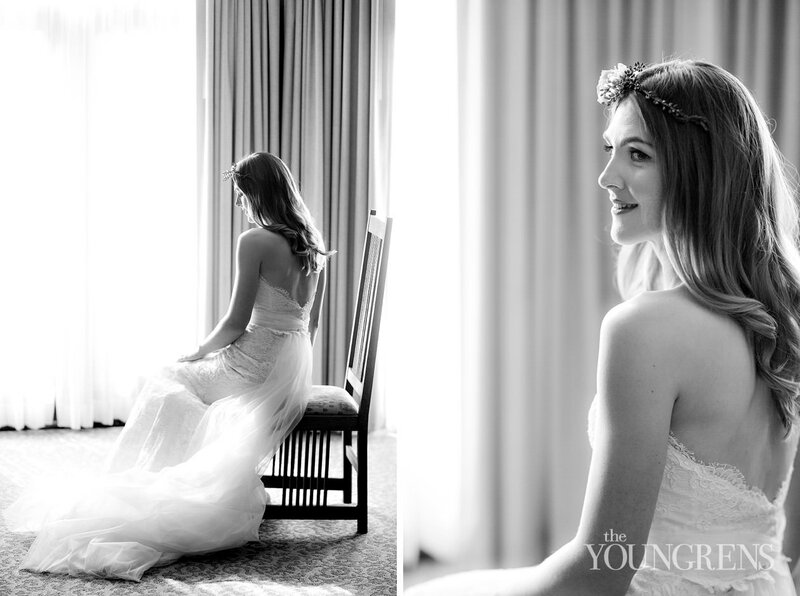 Let's begin our feature with Stephanie prepping in her suite at The Lodge.